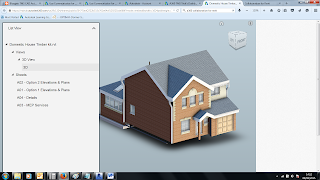 Autodesk has introduced a new cloud-based services called “Autodesk A360 Collaboration for Revit”. In simple words, we may describe it as a cloud version of Revit Server; it provides a centralised location in the cloud to save and access a work-shared Revit project files across a WAN. The project team of architects and engineers could be located across the globe. Awesome I know but it goes beyond that. for Revit is a built-in "chat" window called Communicator. Enable project team members in all disciplines, from multiple firms, or sites to concurrently author a model using the BIM process. Connect team members with direct, real-time chat within project models to free teams from traditional, limited tools, such email and phone.